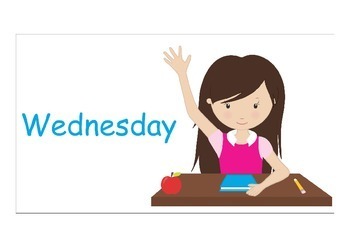 Included are JPEG files that I personally use as slides in my daily/ weekly Active Board outline. 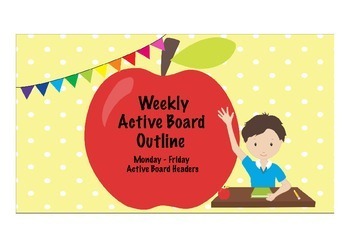 I use my Active Board files daily, in my class schedule and lessons. These files help me to plan ahead for the week, share my plans with team-mates, and keep me organized! You could also use them in a class book, on your word wall, or in your substitute plans.